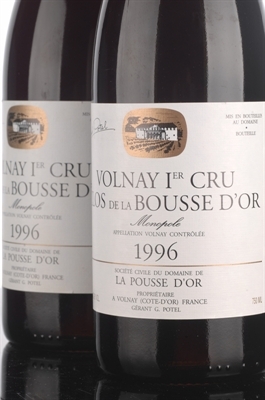 The Volnay Clos de la Bousse d'Or, a wine that I've fallen in love with in vintages such as 1985, 1990, and 1995, had attractive floral and berry scents, with good richness and lovely cherry fruit. However, those appealing traits dissipated into a rough mid-palate and attenuated finish. All questions about yields, bottling dates, and pH levels were unanswered. In fairness to Canonica, he had just arrived.